There are books about heroes and heroines overcoming all odds in missions to save themselves, their families, even the entire human race! And then there are books like this one, with everyday people going about their business and simply trying to do their best to help whoever may cross their paths. Honestly, I prefer the latter. They’re far more realistic with characters with whom it’s much easier to identify. Doyle had compiled a collection of three interlinked stories that offer us a glimpse into the lives and challenges of his characters. There’s the good-hearted doctor, Frank Rebello and his wife Maria, leaving Bombay for reasons known only to themselves; Rebello’s willing assistant, Suketulal, trying to make the best of things after the Rebello’s leave, and his cousin, Police Inspector Pathak, bound by his sense of duty to both his boss and his demanding wife. 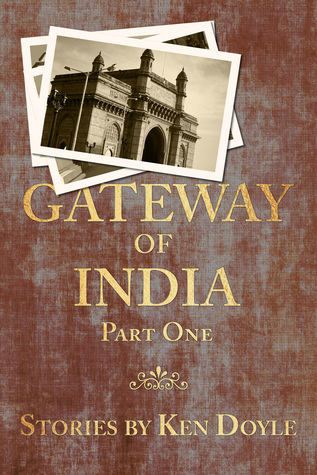 In the first story, Dr Frank Rebello is torn between leaving his thriving medical practice in bustling Bombay, and escaping to retirement in quiet, coastal Calangute. Almost immediately he is presented with a proposition that he finds hard to resist. Will he, or won’t he? The second story introduces us in more detail to Dr Rabello’s assistant Suketulal, who remains in Bombay when his boss departs. With his circumstances now changed, not necessarily for the best, Suketulal is still attempting to make the best of things, and trying to live life according to the lessons he learned from the Doctor he was so fond of. Will things work to his advantage? The third story offers us more insight into the life of Inspector Pathak, Suketulal’s cousin. Pathak is just your average man, doing what he can to appease his boss and family, while also tentatively pushing the boundaries to see how he can get ahead. Doyle’s descriptions epitomise the bustling, teeming life that is Bombay, whilst at the same time building characters who are truly gentle by nature. This is a very enjoyable, quick read.